Med Associates CT-ENV-600A Monkey Primate Sound Attenuating Cubicle Tone Test . 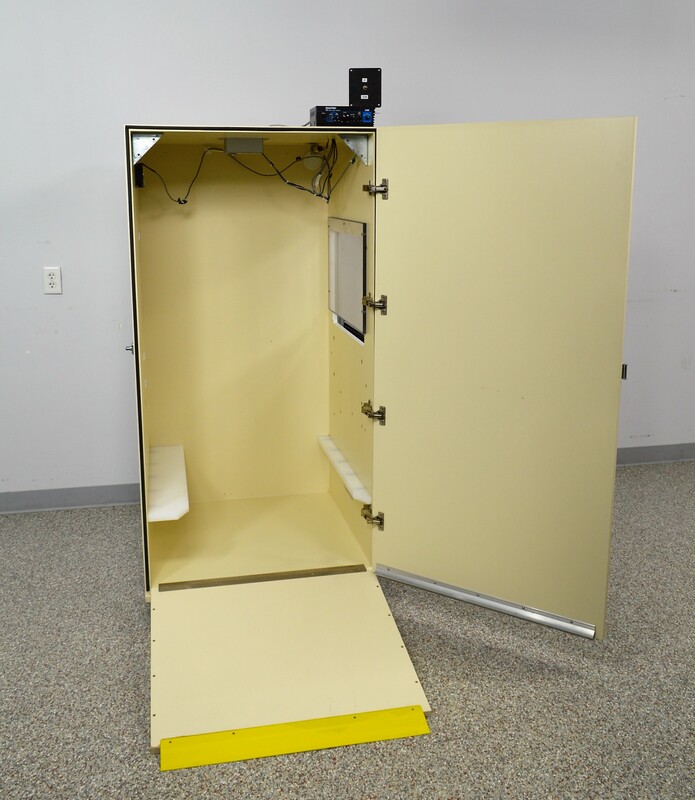 New Life Scientific, Inc.
Med Associates ENV-600 sound attenuating cubicle for primates (large) provides a controlled environment for observing and testing various tones. The installed speaker and Pyle amplifier have several inputs/outputs and knobs for adjusting the emission. The installed ceiling mount speaker is used for pure tones and paired with the PTA2 amplifier; however, Med Associates advertises compatibility with other generators (white-noise) and operates within 1.0-7.0 KHz. The technician tested the window-blind, speaker, and houselights; these components were confirmed functional and responsive.